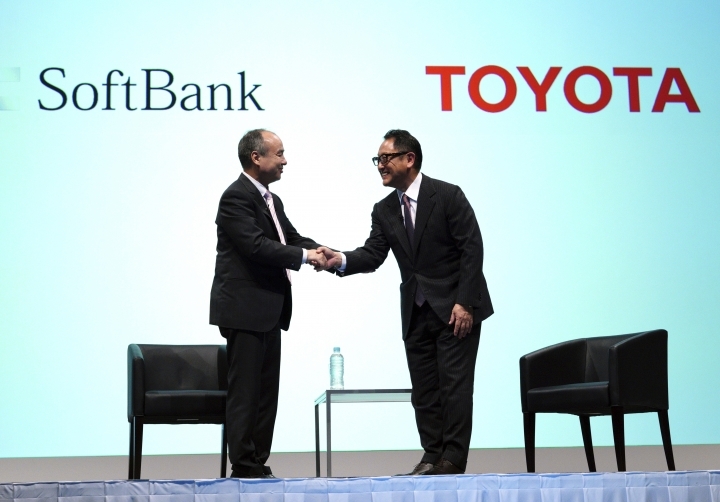 TOKYO — Japanese automakers Honda and Hino are joining a partnership between SoftBank and Toyota for mobility service innovation such as self-driving cars. Japanese technology company SoftBank Corp. and Toyota Motor Corp., the nation's top automaker, announced late last year a joint venture for mobility services, in what they called a "united Japan" effort to face global competition. Honda Motor Co., Toyota's rival, and Hino Motors, Toyota's truck division, said Thursday each company will acquire a 9.9 percent stake in the 2 billion yen ($20 million) Toyota-SoftBank venture Monet Technologies Corp.
"Honda wants to contribute to the revitalization of the mobility service industry in Japan and solve traffic-related problems facing Japanese society," he said. Yoshio Shimo, Hino president, said the move was part of the truckmaker's ongoing efforts to transport goods and people. "Through this partnership, we will strive to achieve our vision of creating a world where people and goods move freely, safely and efficiently," said Shimo. In announcing the partnership in October, Toyota President Akio Toyoda said the move reflected the company's desire to change and keep up with global competition in autonomous vehicles and other technology.